Reticulation is a heating process that creates ridges and waves on the surface of the metal. 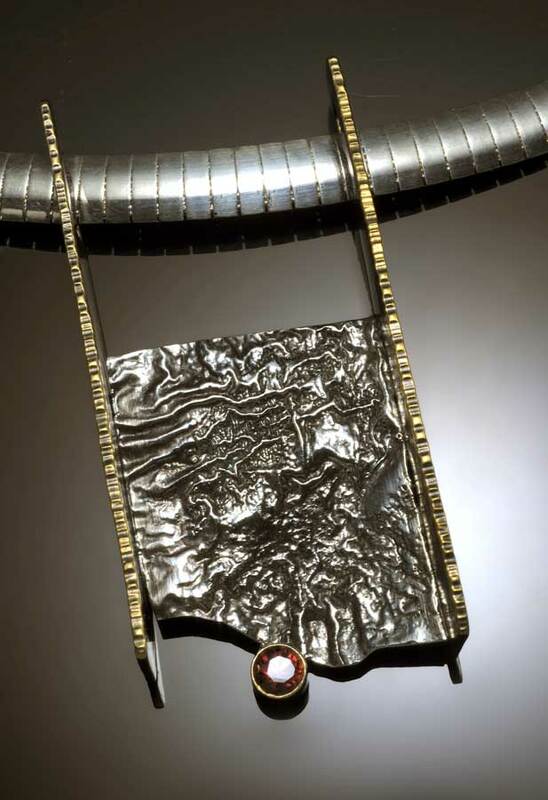 Barbara McLaughlin “creates her jewelry one piece at a time using traditional techniques. Focal gemstones are cut specifically for each design. Pieces of 80/20, a specific silver alloy are reticulated, yielding a random range of textures.” The results of reticulation are organic, serendipitous…and addictive.